You shouldn’t begin an article with a lie. You obviously shouldn’t invent one yourself but, equally, you shouldn’t repeat somebody else’s. Unless the lie is somehow critical to understanding something true about the subject. 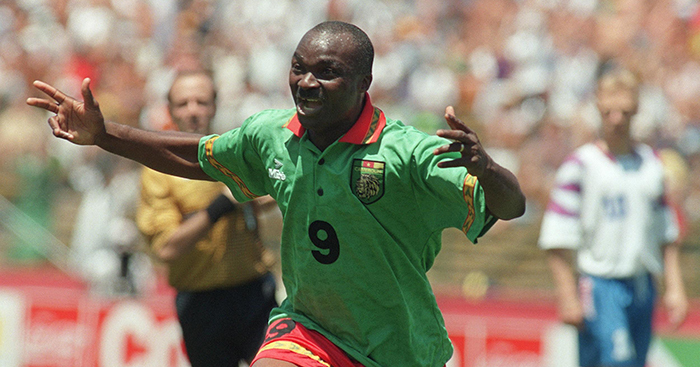 In the case of Roger Milla, the World Cup’s oldest ever goalscorer, you’d be hard-pressed to invent a lie more exciting than the truth. Four goals at the 1990 World Cup aged 38. Another goal at the 1994 World Cup aged 42. For 20 years the oldest player to have featured at a World Cup. Still the oldest outfielder to have done so. Honoured as the greatest African footballer of the last 50 years in a 2007 poll. Master of corner flag dancing. All of these things can be verified. No citation was given, but I was very open to believing the second part of that sentence. I went straight to YouTube to find videos of Roger Milla penalties. A query of ‘roger milla p…’ even returned ‘roger milla penalty run up’ as the fourth auto-suggest, which was promising. I rewatched all his World Cup goals just to make sure I hadn’t somehow forgotten a penalty with a 90-yard run up. Milla, it turns out, did no such thing. I had been tricked. The lie takes up the bulk of this introductory section not because Milla’s actual career was less interesting than a 90-yard penalty run up, but because my willingness to believe that unverified claim shows how absurd Milla’s true achievements were. 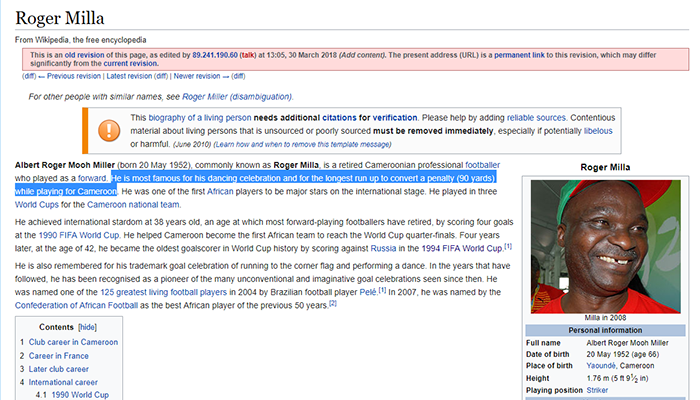 No, Roger Milla did not, as far as we know, score a penalty after running up to it from his own penalty area. But for two months, eagle-eyed Wikipedia users let that ‘fact’ sit there, unverified, unchecked, uncriticised. They, like me, were willing to believe. And why wouldn’t they? If an all-singing, all-dancing 42-year-old Milla could score against a dominant Russian side at the 1994 World Cup, why couldn’t he take a 90-yard run up for a penalty? Why wouldn’t he? Scoring four goals at a World Cup at the age of 38 is both a blessing and a curse. A blessing for obvious reasons, but a curse because the achievement in itself means the goals themselves might easily be forgotten. His first in a group stage match against Romania was a thing of beauty. A long clearance saw Romanian defender Ioan Andone in trouble at the back. Milla knew it too, staggering his run to see how the ball would bounce and how Andone would react, then throwing his whole body at the defender and, somewhat fortunately, getting away with it. Despite the bodily impact, Milla had the composure to tuck the ball past the onrushing Silviu Lung before treating the world to his now-legendary dance with the corner flag. His second, just 10 minutes later, was even better. Protecting their 1-0 lead, Cameroon were in no rush to do anything with a free kick in Romania’s half. But the ball soon found Milla on the edge of the box, where things got really, really interesting. Flicking the ball up with his left foot before catching it again with his right, Milla crossed the ball to the edge of the box. The ball was missed by both the defending and attacking players, but Milla covertly made a huge U-turn to get on the end of his own cross. Wikipedia saboteurs couldn’t make it up. His first touch (or, I suppose, his third?) was sublime, his finish emphatic. Cameroon finished top of Group B despite losing 4-0 to the Soviet Union, and their round of 16 tie against Colombia provided two more brilliant Milla goals. The first was probably his best of the tournament: receiving the ball from François Omam-Biyik, Milla executed two deft touches before slamming the ball into the top corner, beating René Higuita at his near post. 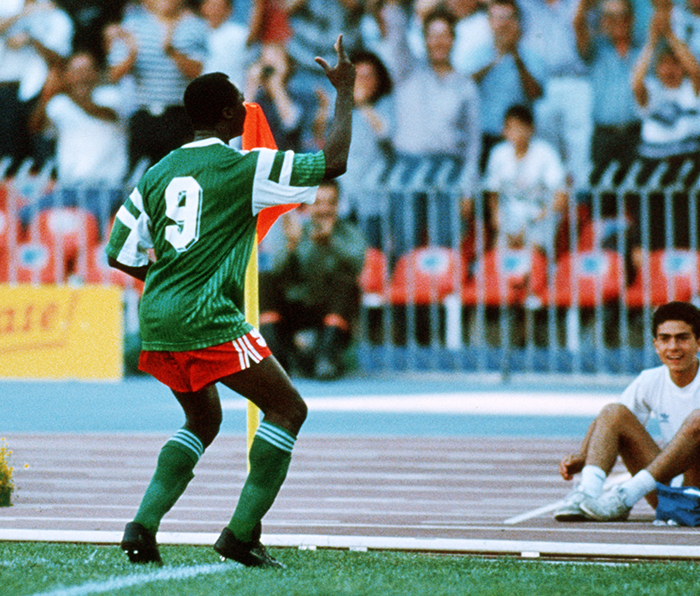 Milla’s final goal of the 1990 World Cup was, in truth, perhaps partially the fault of El Loco. Perhaps. But still, striker’s instincts and all that. At this point, Milla’s legendary status had been secured. 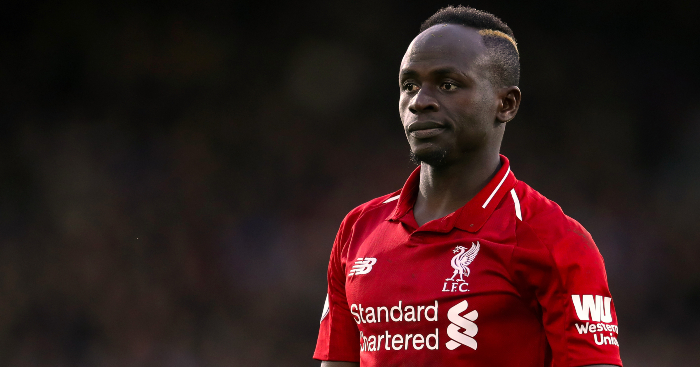 And were it not for an unfortunate defeat to England in the quarter-finals (in which a 29-year-old Gary Lineker scored two of his four tournament goals, both from the penalty spot), his achievements might have been even more significant. Cameroon would fare less well at the following World Cup, finishing bottom of Group B behind Brazil, Sweden and Russia. In Cameroon’s final group match, however, Milla broke a tournament record by scoring a goal at the age of 42. And what a goal it was: although not as objectively beautiful as those Italia ’90 strikes, Milla’s movement on the shoulder of the last defender was exactly the kind of thing an ancient striker should not have been able to do. A burst of acceleration and the strength to hold off the defender? Many forwards lose this ability by 32, let alone 42. Milla’s appearance at 42 also made him the tournament’s oldest ever player, though this record was finally wrested from him in 2014 by Colombian goalkeeper Faryd Mondragón, presumably to avenge the shamed René Higuita. As I wrote earlier this year, Mondragón’s record looks set to be broken at the first time of asking, with 45-year-old goalkeeper Essam El-Hadary preparing to keep net for Egypt. But what nobody seems to be talking about is whether goalkeeper El-Hadary could, in the strangest of circumstances, break Milla’s other record and become the World Cup’s oldest goalscorer. It seems unlikely, but earlier this season El-Hadary scored the second goal of his long career with a stoppage-time penalty for Al-Taawoun, his Saudi club side. The distance covered by El-Hadary to reach the opposition penalty spot? 90 yards, of course, making him the worthiest of heirs to Milla’s throne. Can you name the top scorer at every World Cup since 1966?